At a ticket offer, a man inquires of the narrator if he has insurance. The man says he doesn't but would like to buy one for the next day when he will in fact be in bed and not travelling. The man goes into a detailed explanation that when doing extensive research on the subject matter, he discovered that the statistical likeliness of dying while on trains or boats or other modes of transportation is significantly less than the likelihood of dying in bed. To that end, he swears by only purchasing insurance when he knows he will be staying in his own bed as opposed to any other place that he encounters. This was definitely typical Twain, pointing out the obvious at the risk of sounding ridiculous and done with such style and matter-of-factness that you find yourself questioning why it is that you might subscribe to such an idea in the first place. 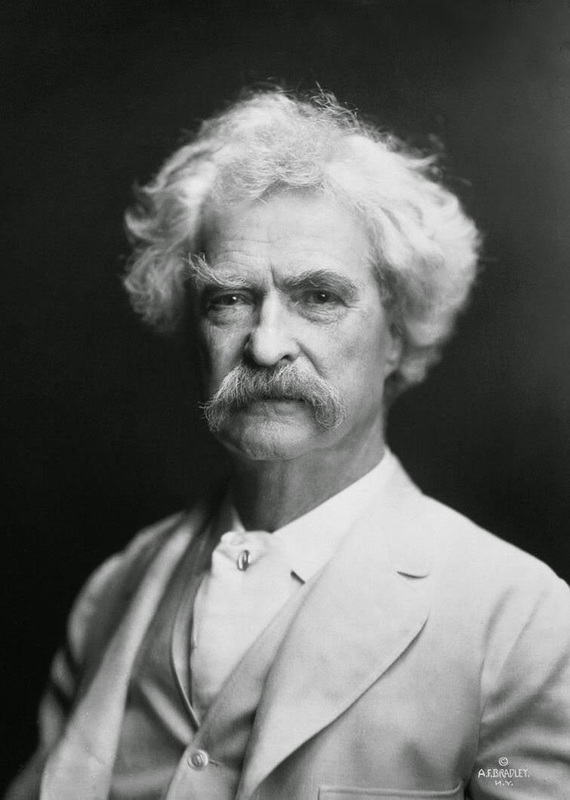 Though it is clearly a fictional "I" relating the tale, one can't help be see Twain himself making the argument in some social setting and having people find it convincing.